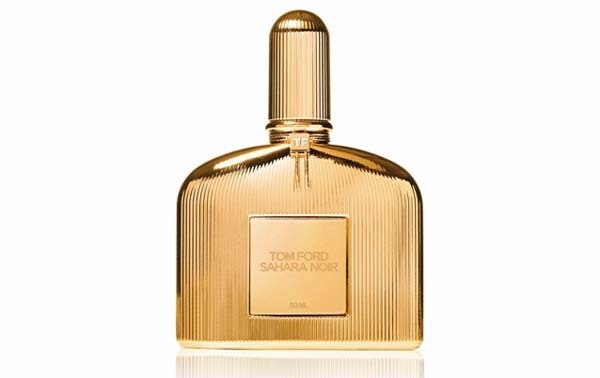 I like Tom Ford – not because he is incredibly handsome (although I’m not denying that he is more than a little bit dishy) – but because when it comes to perfume he has a keen sense of volume and seems to favour that which is rich, sturdy and loud. To put it simply he is the king of what I like to call ‘perfume writ large’. His signature collection (Black Orchid et al) in particular displays satisfyingly loud levels of sillage and many are bold, divisive creations that provoke nothing but strong reactions. The latest addition to the collection – Sahara Noir – is no exception and it is perhaps one of Ford’s loudest and dare I say butchest fragrances to date. Taking inspiration from “the mystery and luxury of the Middle East” and “evoking the untamed beauty of the arabic peninsula” Sahara Noir speaks of an exotic and wealthy world where bold statements in both fashion and perfume are the norm. This is Tom Ford’s domain and if there is one thing the man knows how to do more than anything else it is make a bold statement. The first thing one notices when spraying Sahara Noir is a big whack of incense – and that’s almost an understatement. It would, in fact, be fairer to describe it as a mushroom cloud of incense. It is an all-enveloping plume of churchy incense smoke with suitably attractive mineral facets. There is a touch of something light and citrus-like at the very beginning but for the most part Sahara Noir conjures up a strong image of dry, arid climes, where refreshment from citrus fruits isn’t easily found. Sahara Noir’s development is fairly linear, with the incense reigning for the majority of the fragrance’s lifespan. That said, things progress to a softer base where whiffs of warm amber add a feeling of plushness and comfort. There are mere hints of spices and herbs underpinning all of that incense and amber, but that’s exactly what they are – mere hints, and they serve only to inflect a sense of depth throughout Sahara Noir’s structure. Big ‘n’ bold appears to be Sahara Noir’s motto and its strength is really what makes it so wonderful. There’s something reassuringly grand about it but at the same time its simplicity is refreshing and it is one of a few examples (for another see Serge Lutens’ Féminité du Bois) where a lack of development in a perfume is a plus – after all it smells so good, why would you want it to change? 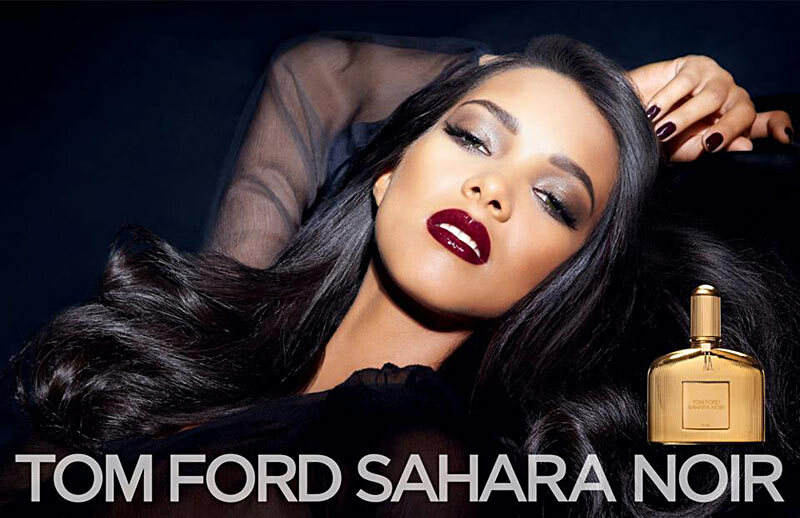 Sahara Noir is available in 50ml Eau de Parfum for £100. Image 1 via fragrantica.com. Image 2 via themoodiereport.com. Notes via basenotes.net. Quotes via tomford.com. Posted in Amber, Incense, Oriental, Perfume Reviews, Tom Ford, Unisex and tagged Amber, Incense, Oriental, Perfume, Sahara Noir, Tom Ford. Bookmark the permalink. I have been wondering how Ford would do incense. No surprise he’s done it big. Any sign of the tobacco or leather? I fear the bold nature of the frag may be simply too much for my climate, but I won’t know until I try! Thanks for the concise review. I don’t really get much tobacco or leather at all to be honest. It’s all incense and amber to me. Yes, it’s quite masculine isn’t it? It would be interesting to know whether, like Black Orchid, it sells very well with men. Unsurprisingly this was rather too much for me, but it is good to have a perfume with decent sillage as so many don’t. This is true – although some suit being light and ephemeral, I do find it annoying when a good scent doesn’t have the right level of projection/longevity. I smell nothing but frankincense and labdanum, two resins that aren’t even listed in he official notes, and it is perfectly linear on me. This is not in any way a bad thing, once I love most of the resin notes and especially these, but I did find that I like my scents to do some sort of development, and get a little bored when they sit resolutely still for hours. I would also consider it a masculine scent, but I will probably wear some myself when winter comes.I live in a high-desert climate,and this arid perfume will probably smell just right here. Location does seem to be to be an important consideration in choosing perfumes, at least for me. Scent carries poorly in very dry air, and “sillage monsters” can turn into skin scents with surprising speed. I get what you mean – development is always good (change is fun) but there are just some scents where a linear theme is quite enjoyable. It’s interesting what you say about scent carrying poorly in dry air. I have found the same. I’m glad that you wrote about a Tom Ford scent. It seems to me that perfumistas generally underrate them, and yet the line overall contains as many beauties as most others. Have you sampled any of the newest four, Shanghai Lily et al? I definitely have found more love for his Signature Collection than the Private Blends, but there are gems in both. I’ve not tried the Atelier d’Orient Collection yet but I hope to. Have heard good things! For this price point, I definitely think it’s fair to expect a perfume to be more than linear. I am surprised but pleased that you like this one, Thomas! I would probably buy it if it was $50 cheaper. Tis on the pricey side I must admit!